Airways Training has established partnerships with aviation universities globally. Through high instructor-to-trainee ratios and the use of high-tech real world simulators, we deliver results to our client's demands. We can train your students at one of our international locations, or we can deliver a personalised training programme directly to you. Our partnership with the InterAmerican University of Puerto Rico has enabled us to establish an ATC Training Campus in Puerto Rico. We provide ATC ab-initio air traffic services and air traffic management courses at the university's dedicated School or Aeronautics on its Bayamon Campus. We deliver air traffic control short courses in Beijing through our partnership with the Civil Aviation Management Institute of China (CAMIC). 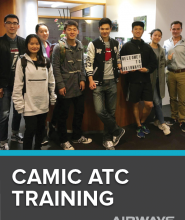 CAMIC is the traning and development arm of the Civil Aviation Authority of China. The university provides higher education programmes as well as safety related training for senior managers. Our training partnerships and methodologies are founded on international best practice, tried and tested on Airways’ own students. 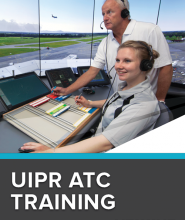 We deliver a 96% trainee pass rate, effectively taking the risk out of air traffic control training.